Cook fruit and sugar over medium high heat until sugar melts and liquid boils. Pour fruit mixture in a blender, add milk, cream, and lemon juice. 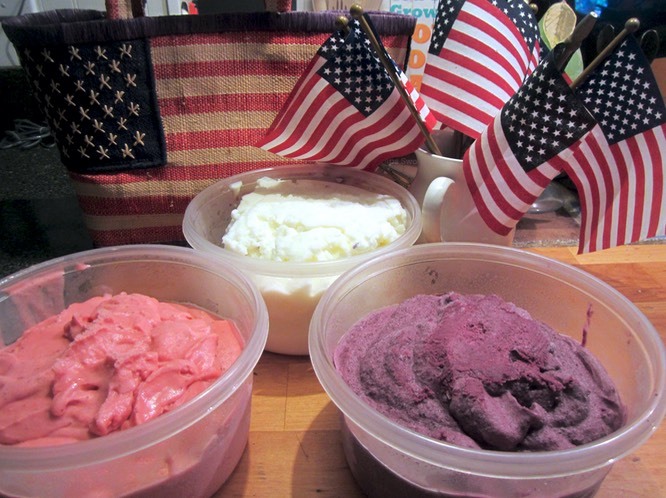 Freeze according to ice cream maker directions adding liquor if desired at the last minute. Combine all ingredients whisking to incorporate sugar. Allow mixture to chill for at least an hour in the fridge. Freeze according to ice cream maker directions.